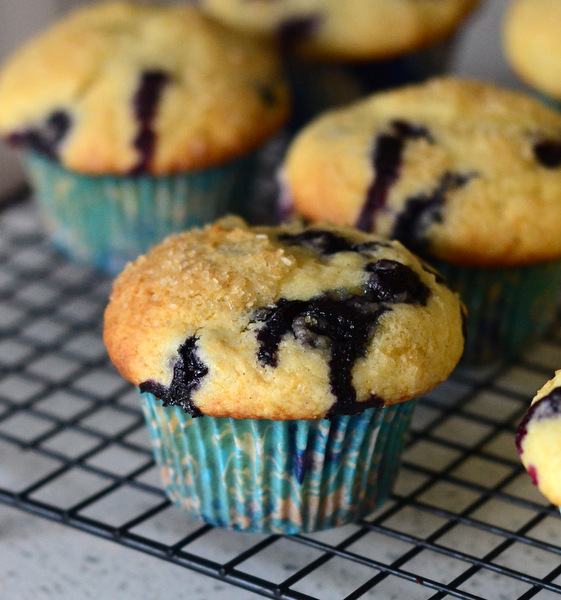 Blueberry muffins are probably the most popular muffin flavor in the US. The muffins can be found at almost every market, bakery and cafe that sells pastries. The muffins that come out of commercial ovens at bakeries are sometimes almost too pretty to eat. They have perfect tops and are packed with fresh blueberries. I know that I have made my share of disappointing blueberry muffins from various recipes, muffins that don’t rise up to create a nice muffin top or that are soggy in the center, rather than fluffy and tender. But you don’t need a commercial oven to bake bakery-style muffins at home and this recipe will deliver on that promise. My Bakery-Style Buttermilk Blueberry Muffins rise up extremely well in the oven and have big, pretty domed tops that rise up over the top of the muffin pan. They’re tender, with just the right amount of sweetness, and they are loaded with blueberries. They’re sweet enough to showcase the blueberries but not so sweet that you’ll think you’re eating a cupcake. 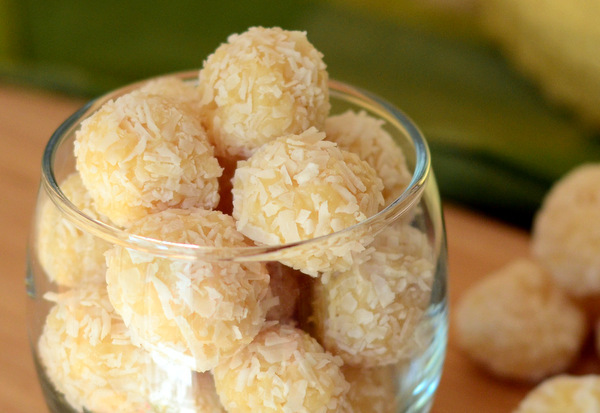 They have a hint of tangy buttermilk and are finished with a sprinle of coarse sugar on top. 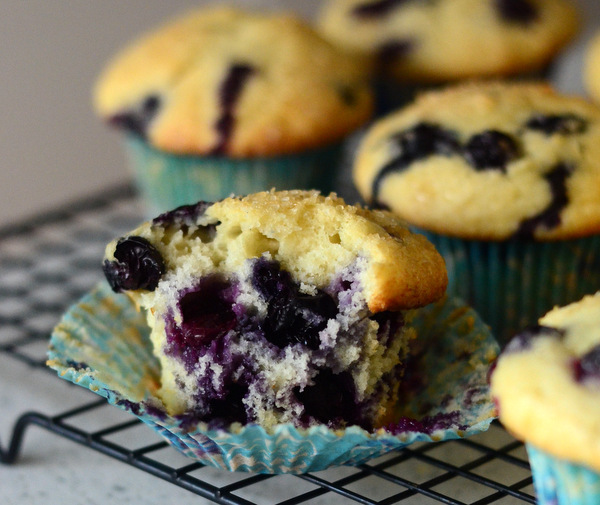 They’re everything that I want to get in a blueberry muffin – and the best part about them is that they are incredibly easy to make! The secret to these muffins is that they have a very thick batter. A thin batter isn’t strong enough to hold that nicely domed top that you want in a muffin. This isn’t to say that the batter should be over-mixed, but that it has a high ratio of dry ingredients to wet ingredients. 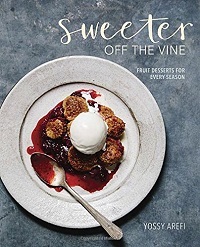 A thicker batter is also able to support the weight of all those blueberries easily, ensuring that they remain suspended in the batter without sinking to the bottom of the muffin pan. This means that you’ll get blueberries in every bite – including every bite of the beautifully golden muffin tops. I recommend using fresh blueberries if you can get them, as they are not only tasty, but easy to work with. Frozen blueberries can be used, but should be tossed in about 1 tablespoon of flour before folding them into the batter, as they are likely to “bleed” streaks of purple as you fold them in and the flour will help to prevent that. The frozen berries should not be defrosted before use and may require an extra minute or two of baking time. The finished muffins, regardless of what type of berry you use, should keep for at least 1-2 days after baking, though they are at their absolute best on the day they are made. In a large bowl, cream together butter and sugar until light and fluffy. Beat in eggs one at a time, followed by the vanilla extract. Stir in one third of the flour mixture, followed by half of the buttermilk. Mix in another third of the flour mixture, followed by the remaining buttermilk. Stir in all remaining flour, mixing until no streaks of dry ingredients remain. Fold in blueberries until well-distributed. If using frozen blueberries, toss in 1 tbsp flour before folding in. Divide batter evenly into prepared muffin cups. Each cup should be completely full of batter. Sprinkle with coarse sugar. Bake for 21-24 minutes, until the muffins are domed, lightly browned on top and a toothpick inserted into the center of each muffin comes out clean.